In fulfilling both your Divine Soul purpose as well as your Divine Soul mission, the “gas in your engine” to keep your motor running is your personal motivation. It’s the emotional WHY that drives you. When the WHY of your personal motivation shifts its emotional heartbeat, your whole psyche shifts gears, too. When it moves into closer alignment to your deepest self—your Divine Soul—your creativity and drive shoot through the roof. When your personal motivation moves out of alignment, procrastination raises its lazy head. You get lost in YouTube videos. Binge-watching old reruns of Friends suddenly captivates your interest. Will Ross and Rachel ever get it together? You know the answer, of course, but it’s more fun to pretend you don’t know than it is to get back to your to-do list. My goal here is to help you jump into the creative juices of fully living your Divine Soul purpose—and stay there where it’s really fun. 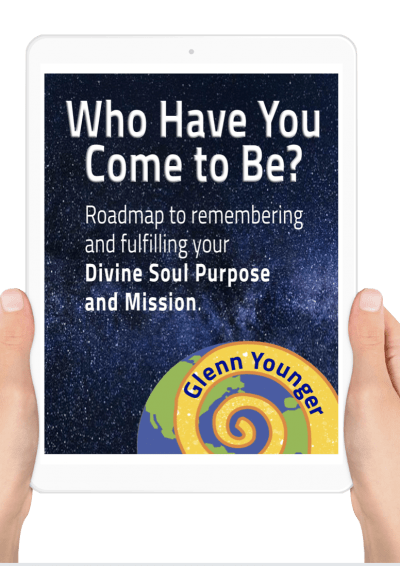 Hang with me with me all the way to the end because I have a personal action plan for you, as well as a free roadmap for remembering and fulfilling your Divine Soul purpose and mission, okay? If the perceived benefit is greater than the perceived energy it takes to get there, your ego-intellect has got a solid motive for action. The classic cartoon of the farmer who holds the carrot in front of the mule to make him go is a perfect example. If the carrot is sweet enough… and the load is light enough… the mule goes for it. But if the load is too heavy for the potential sweetness of the carrot—or the mule believes the carrot is forever out of reach—that farmer isn’t going anywhere. It’s logical, and often looks for the benefit outside itself. Your mind connects the dots (real or imaginary) with a reasoning that says, “If I do this… then I get that.” The carrot you hold in front of yourself—the perceived benefit—will work like a charm until the load gets too heavy. Then you have low motivation, or none at all. You go on autopilot. Eventually, you go into full procrastination mode. It’s in perfect alignment with your Divine Soul purpose and Divine Soul mission. This is when your creative juices run the strongest. That’s when the magic happens. The angels in the heavens will sing a Hallelujah for you. The slippery slide is when your human ego-intellect forgets—or doesn’t bother to remember— your Divine Soul’s WHY. You know that’s happened when your personal motivation is running on a low gas tank. You can “fill ‘er back up” by reminding yourself of the benefit(s) of putting in the time, attention, and energy for whatever it is you want to accomplish. Heads up: be careful that you’re not falling into the traps of confusing your passion with your Divine Soul purpose and mission. Not only will that throw you off the track of your highest good, it’ll drain your personal motivation faster than a bucket full of rust holes. 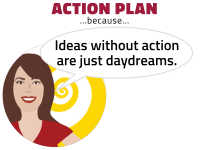 If reminding yourself of the benefits of your personal motivation doesn’t work, here’s a mini-action plan. Take it into meditation. The Basic Activation of Divine Light Vibrations Guided Meditation v2.0 is perfect for this. Ask within if it’s still something you want to do and manifest. If so… make it a screen saver or put sticky notes all over the place to keep it in the forefront of your mind. If not… take the opportunity to refine HOW you want to express yourself…WHAT it is you want to manifest… and WHY. Your Divine Soul Knowing will guide you in this. Remember, you are a glorious being of Divine Light—a Divine Soul having a human experience. The only limits are the ones your ego-intellect self imposes. The more you follow the “yes” of your Divine Soul Knowing, the deeper you go into the free expression of your truest authenticity. KEEP IN MIND: Your personal motivation will shift its emotional heartbeat when your Divine Soul calls your ego-intellect to go deeper into your Light. Even though your ego-intellect might not yet recognize it, you’re ready for the next stage of your spiritual reawakening. Think of the dance floor as a metaphor of where your choose to express yourself. The music is your personal WHY. Your dance is your personal expression of the music. Now visualize a comedic movie scene. (I’m visualizing a Steve Martin kind of guy) The dance floor is full of dancing people. Arms are swinging. Feet are moving. Hips are wagging. Heads are bobbing. Each dancer is following the beat of the music in their own way. Yet they’re all somehow in sync, including our comedic protagonist. It’s beautiful to watch from the outside. Suddenly, the music changes from a fast hip hop to a slow sultry love ballad. The comedic protagonist is so involved with his own dancing, he doesn’t recognize what’s happened and keeps on dancing the same dance. Totally off beat and out of sync with the music, what was once graceful movement is now clumsy and nonsensical. That’s what happens when the music of your personal motivation shifts its emotional heartbeat to a new rhythm… and you keep dancing to the old motivational music. You get out of sync with yourself AND the world around you. The WHY of your personal motivation will grow and evolve as you do. So it’s important to be aware of that when it happens. Here’s a concrete example of what happened to Fred when the WHY of his personal motivation shifted its emotional heartbeat. Fred builds a successful recording studio. His Divine Soul purpose is to shine his Light through music. Creating it. Recording it. His chosen Divine Soul mission is to help others express themselves through music. So he creates outreach programs. Assists young musicians with their first recording efforts. Gives apprenticeship opportunities. His personal motivation has always been hyper focused. Express. Serve. Learn. Grow. Share. Rinse and repeat in ever expanding spirals of personal expression and economic growth. He makes a name for himself. On the surface, life is good. He loves the industry. He’s got a huge investment in equipment, in networking, and in marketing. New clients now seek him out, instead of the other way around. Then… an obstacle appears that takes him to a breaking point. Laws change and they rake away at profits. In turn, his emotional fuel slowly drains away. It all suddenly seems too much. Normally obstacles—which WILL happen when growing a business—don’t hold him back. Just the opposite, in fact. He’s always taken them on with gusto and framed them as opportunities for growth. He goes into a personal crises and starts doubting if he even wants to continue. He pushes on anyway. What used to bring him pleasure, doesn’t any more. People seem ungrateful. He starts thinking that maybe he should change cities. Or even countries. Whether that’s a good idea or not, he doesn’t have the energy to do much more than take care of day-to-day business. The fact is, there’s nothing “wrong” per se. He’s simply looking outside himself for the solution to flailing personal motivation. It’s time for him to look within to refine the WHY of his personal motivation that fuels what he does. Here’s his back story. Like many creatives with parents who want them to choose a more traditional tried-and-true path that’s already known to them, Fred started the music recording studio to prove his Dad wrong and earn his Dad’s respect in the process. He did that, and more. It ended up creating a way for them to forge a new Father/Son relationship with more equal standing befitting a grown man. When his Dad died, Fred continued. But bit by bit, that original personal motivation became a moot point. The load got heavier than the carrot of his ego-intellect’s personal motivation. Thus, the personal crises: His WHY shifted its emotional heartbeat. The emotional fuel needed to take things in easy stride was running on old reserves. In metaphorical terms, he’s still dancing his old emotional dance even after the music changed beats. 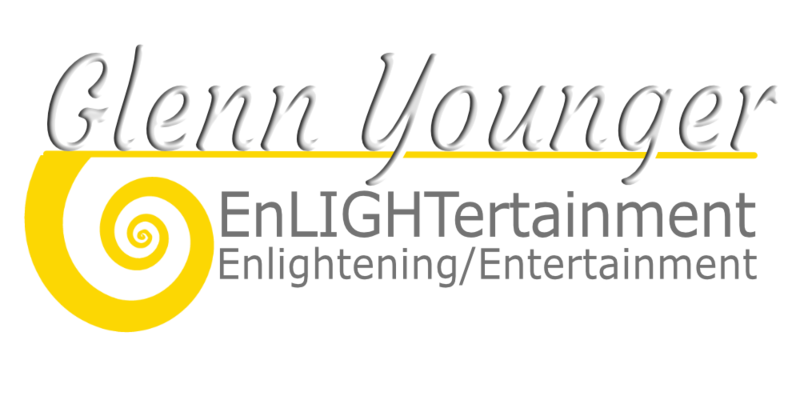 As you know from reading my book, HOW TO MAKE THE MOST OF YOUR EARTH EXPERIENCE (14 Principles for Living Unconditional Love), there are two key Principles of Divine Light in play here. The question is the answer wanting to reveal itself to you. Asking the question will surely put you in the mindset to discover the answer. Divine Light flows where your attention goes. Focus on the problem, the load gets heavy. Focus on discovering the deeper WHY to your personal motivation, and your happy juices flow. When the Basic Activation is completed, release all past reasons for your personal motivation. I mean, REALLY let them go. You’ll feel a sense a relief when you do because there’s a part of you knows that you’ve been trying to push the river of personal motivation. And that doesn’t work for the long-term. Ask for the old reasons to be transformed into illumination. Then ask your Divine Soul Knowing to give your a deeper motive for action. If you’re still unclear about your answer, revisit and refine the four essentials vital to a fulfilling life. By refining your awareness of a deeper personal motivation, you might discover that who you want to serve—and how—also makes small subtle shifts. If you’ve been working with Divine Light for any length of time, you know subtle shifts make a huge difference in the long run. If you don’t know that yet, practice will show you soon enough. When you’re clearer on the WHY of your personal motivation, it’s easier to make a distinct yes-or-no decision. Is that particular direction right for me? Yes or no? The important thing is to not throw away the dance floor just because the music of your personal motivation has changed its beat. AND if you haven’t already done so…. Download your FREE ROADMAP to remembering and fulfilling your Divine Soul purpose and mission. It’ll make all the difference in the world. Where do you experience pure pleasure in the doing?